Baltimore Asian Pasifika Arts Collective proves that being an Asian artist can mean more than just tradition. I sit between two worlds: Conservative Filipino tradition and American Liberal individuality. I grew up for the most part respecting tradition and its ways, while at the same time secretly trying to find who I was. I did the steps, I went to school and I became a nurse like most Filipinos. It’s safe, the money will always be there, and you will never miss a meal. But I didn't leave any room for my own individuality. It was almost as if the word "artist"on its own was a complete failure in my parents’ eyes. Self-portrait by Catrece Ann Tipon. It’s easy to become so set on making your family proud that sometimes you forget what equally matters: your own well being. You forget who you are as a person and you spend your whole childhood trying to justify the sacrifices your parents made for you. This organization has allowed me to be me as an artist, as a Filipino, and as an individual in a world full of the same stereotypes I hear about every day. BAPAC allows me to blend the beauty of tradition and mold it in a way that is for me and by me. I will not be just another "Asian" or "Filipino Nurse" in this world. I will be me. 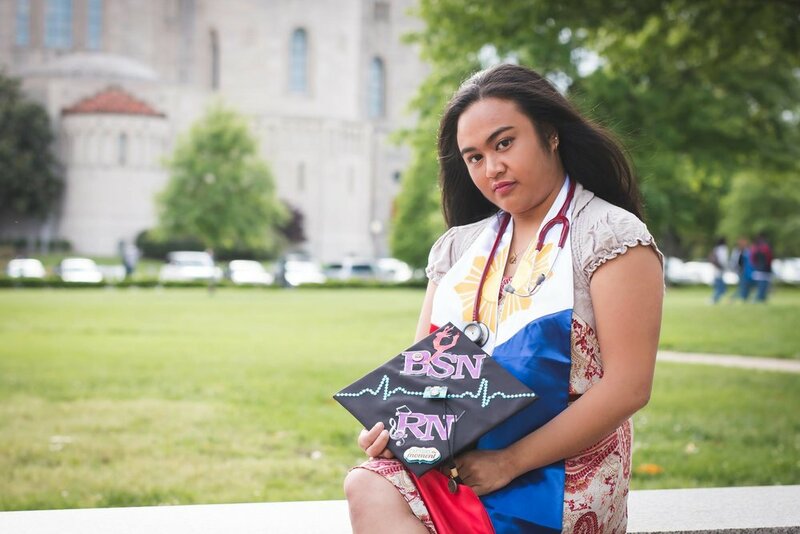 A Filipino-American artist and nurse, the best of both worlds. Written by Catrece Ann Tipon, current Artistic Producer of Baltimore Asian Pasifika Arts Collective.